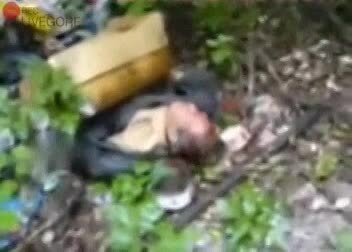 This is a real video of a man being gruesomely killed, filmed using a cellphone (hence the potato quality) by Dnepropetrovsk Maniacs, a group of your Ukrainian teen boys who brutally murdered 21 people with a hammer and a screwdriver. The Ukrainian serial killers carried out the acts within a span of a month, starting with animals then later on to people.This is a horrific, likely the most graphic and violent video on the internet. Be warned, the video, is very upsetting. In 2009 all three were found guilty and two received life in prison while the other received nine years. The official motivation for the murders was to get rich. It was said that they planned on filming 40 snuff films and would sell them to a wealthy foreign website owner. Although detectives are unsure of this and are unable to prove it, they think the boys did it as a hobby, and videotaped it for a memory. The names of Dnepropetrovsk killers are: Viktor Sayenko, Igor Suprunyuck, Alexander Hanzha. The business model was sound enough, snuff movies commanded big bucks a few years ago easy money for savage men in savage countries.